Dr. Kallick is a private consultant providing services to school districts, state departments of education, professional organizations, and public agencies throughout the United States and abroad. 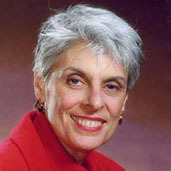 Some of her written work includes: Assessment in the Learning Organization (ASCD, 1998) , the Habits of Mind series (ASCD, 2000), Strategies for Self-Directed Learning (Corwin Press, 2004) , Learning and Leading with Habits of Mind (ASCD, 2008), Habits of Mind Across the Curriculum (ASCD, 2009),Dispositions: Reframing Teaching and Learning (Corwin Press,2014) ( all co-authored with Arthur Costa), and Using Curriculum Mapping and Assessment to Improve Student Learning (Corwin Press, 2009, co-authored with Jeff Colosimo). Her works have been translated into Dutch, Chinese, Spanish, Italian, Hebrew, and Arabic. Formerly a Teachers’ Center director, Kallick also created a children’s museum based on problem-solving and invention. She was the co-founder of Performance Pathways, a company dedicated to curriculum mapping and assessment. She is co-founder and Program Director for Eduplanet21, a company that is dedicated to online Professional Development for Educators. She and Art Costa co-founded and co-direct the Institute for Habits of Mind International whose mission is to create a more thought-full and compassionate world.